Last summer, Icenews reported on Búi Bjarmar Aðalsteinsson and Stefán Atli Thoroddsen, two entrepreneurs from Iceland, who founded Crowbar Protein, a startup company that produces protein bars made with sustainable and protein-rich edible insects. After months of preparation and development of their first product, the company has launched Jungle Bar, the insect powered protein bar on Kickstarter. 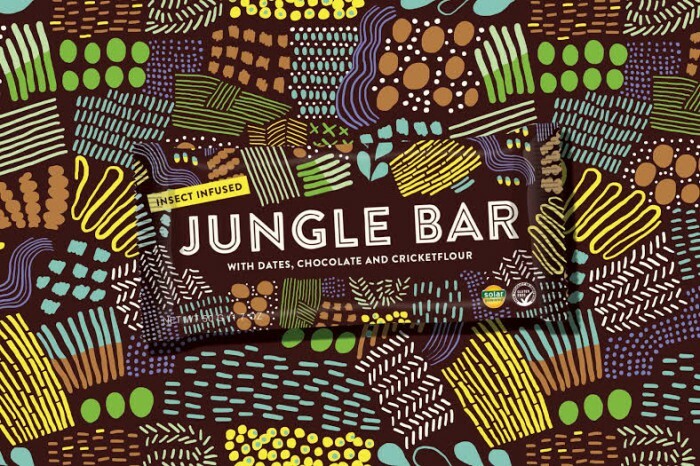 Jungle Bar is a normal looking protein bar, made from dates, all sorts of seeds, chocolate and cricket flour, the special insect ingredient. Cricket flour is made out of nutritious crickets which have been specially farmed for human consumption in a very sustainable way. These crickets are dried and ground down to fine flour, which is mixed with the other ingredients to make the final product. Cricket flour is full of protein, minerals, vitamins and other essential nutrients which Stefán says is „a perfect ingredient for Jungle Bar“.